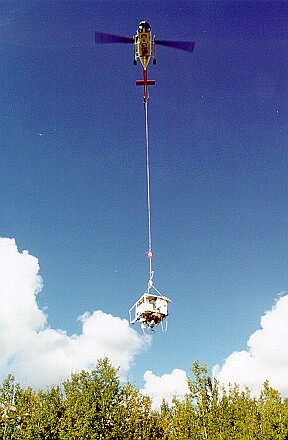 This second MANTRA flight was achieved using a scaled down payload. 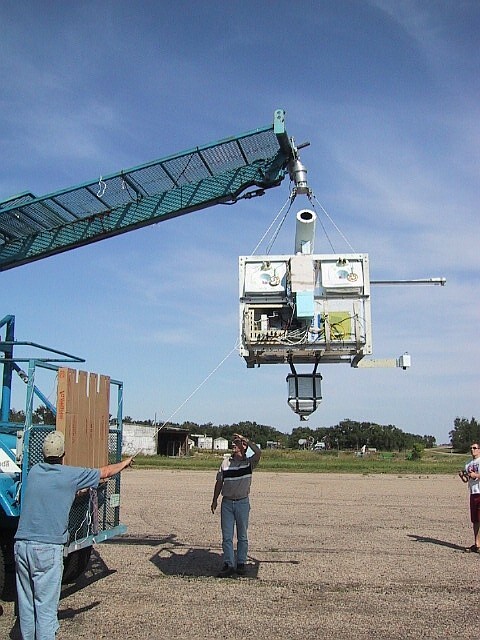 The primary objective of this campaign was an engineering test flight of a new pointing control system in order to demonstrate its performance and capabilities for future balloon flights. In addition, this flight enabled further investigation of the stratospheric odd nitrogen budget at mid-latitudes, focusing on the measurements of vertical concentration profiles of ozone, HNO3, and NO2. The third objective was to continue the investigation and validation of techniques for the retrieval of NO2 vertical profiles from ground-based zenith-sky spectra, and the fourth was to investigate the feasibility of retrieving vertical profiles of temperature and pressure from solar occultation measurements of the O2 A and B bands, in support of the MAESTRO project. 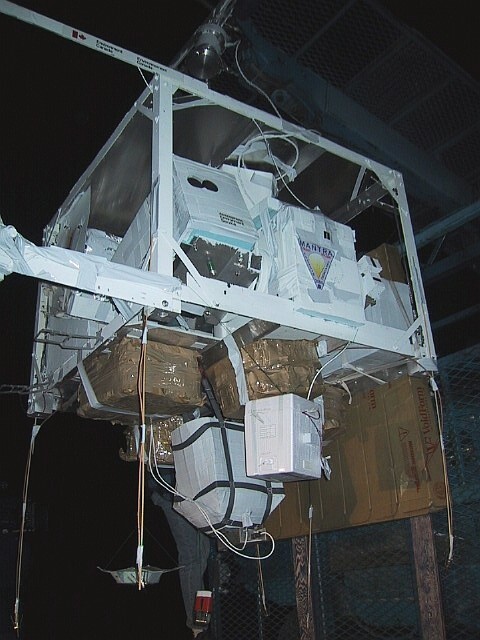 Additional supporting measurements were made with three ground-based spectrometers, a series of ozonesonde flights, and one additional aerosol sonde flight. On launch night (August 29th, 2000), surface winds were light but variable, requiring repositioning of the balloon layout line. After gondola final check out inflation of the balloon began at 2:00 AM and finished at 2:35 AM. 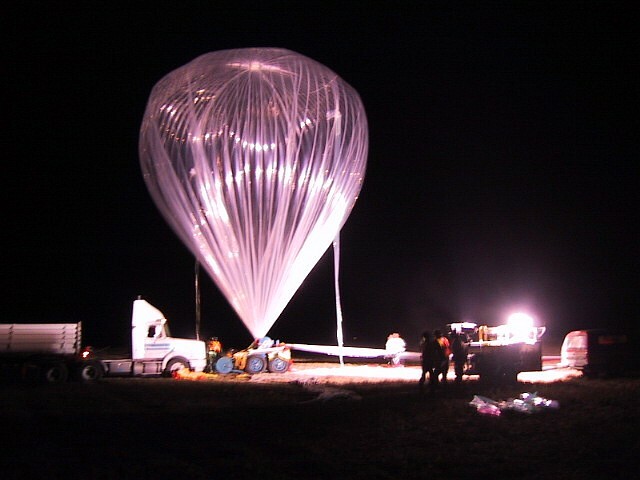 The balloon was successfully launched at 2:45 AM by dynamic method. The launch truck only driving about 50 ft. in the pad. In the first ascent pahse the balloon first headed straight up at 1100 ft/min, then gradually began drifting eastwards. There were some initial telemetry dropouts, but only temporary. Breaking the tropopause, the GPS system onboard failed but resumed operating at 121,000 ft (~10 AM) enabling accurate tracking of the payload. The balloon reached 10 km at 3:10 AM, 20 km at 3:45 AM, and 30 km at 4:30. Final float altitude was about 35 km. did not command it, instead valved it down in an attempt to reach different float winds and move out of a cloud bank, the balloon went down to 97,000 ft but SIL was unable to regain command control, therefore decided to terminate the mission, sending the command at 16:12. The balloon landed at about 16:38 just east of Nipawin provincial Park, about 280 km northeast of Vanscoy, with minimal damage. 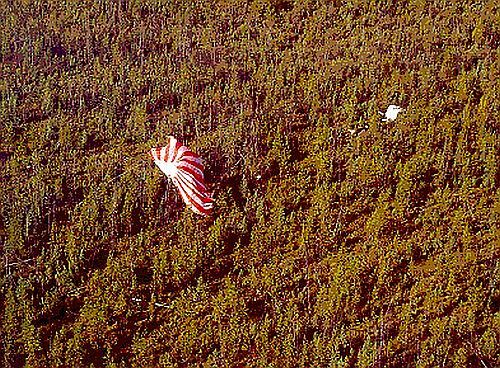 SIL's recovery team retrieved the payload from the bush by helicopter on August 31th and drove it back to Vanscoy that evening. A firefighter crew retrieved the balloon, cutting it up into smaller pieces to bring it out. All of the instruments performed well, and the minimum flight measurement requirements of one solar occultation and one limb scan observation were achieved.